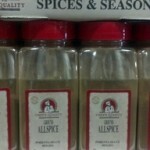 Spur Tree Jamaican Jerk Seasoning 10 oz. 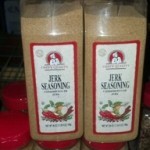 We love Jamaican cuisine here at the store and especially a good jerk seasoning. This one fits the bill. Use this sauce to create the sensation of an exotic, tropical meal by marinating meats prior to grilling. Be sure to drizzle some more of our jerk sauce over top of each serving before sitting down to eat. This sauce has a wonderful layering of flavors that will create a memorable meal. Spur Tree Jerk Seasoning is all you need to taste the delicious flavour of Jamaica’s favourite dish. We use the finest, freshest local ingredients in our “all in one” seasoning – there’s no need for anything else, just add the meat! Our Jerk Seasoning can also be added to many sauces and marinades to spice up the flavour – try adding to BBQ sauce for rich, spicy taste and brush on ribs, steaks, burgers and sausages just before you finish grilling.